Optimized for inline integration, this SMEMA-compatible ICT is designed as an expandable platform for testing PCBA's. 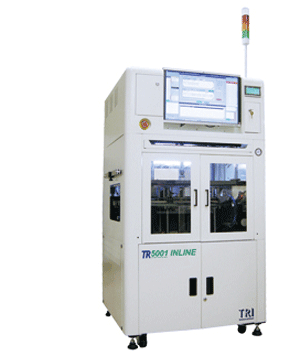 The TR5001 IN LINE provides an economical, customizable solution that can fully meet testing requirements of most customers. TR5001 IN LINE incorporates M‌DA with selectable ICT and Functional test capabilities that cut production line staff costs, save testing time and increase productivity.